SelectHub is real people helping you find the best Construction Management software for your unique business needs while recognizing the true Construction software leaders who help make your decisions possible. When you think of humankind’s greatest achievements, odds are what comes to mind are things we’ve built. Construction projects are some of the largest, most vital undertakings humans perform — and managing them can be an enormous task. But it doesn’t have to be a disorganized one. Construction management software streamlines the project management process from start to finish. Managers can organize tasks, monitor budgets and control daily activities from a centralized hub. This software facilitates communication, organization and control. Top construction management software facilitates communication and collaboration between all departments and teams to ensure projects run smoothly. The goal of construction management systems is to combine disparate segments of project management into a centralized interface. Some goals for implementation construction management software are increased efficiency in communication, risk management, budgeting and workflows. To choose a construction management solution that’s right for you, you have to gather requirements, shortlist vendors, review potential matches and take products for trial runs. One of the main obstacles construction projects face is lack of communication. Someone didn’t get the right kind of materials or equipment wasn’t properly maintained or no one remembered to tell the subcontractor about an issue with a power outage — you get the idea. Basically, construction management platforms aim to reduce the opportunities for these kinds of errors by centralizing the communications, planning and management into a single interface. Never again will you have to worry about emails being accidentally deleted or sent to a spam folder. All your messages can be sent directly within the system. Construction management software combines financial, technical, material, inventory, HR, risk and project management features into a single powerful system designed to get the job done right the first time. It creates a standardized process for managing jobs, streamlining every step of the process for both managers and employees. This standardization has the added bonus of making your company seem more professional by giving your projects a uniform look and workflow. This software automates many menial tasks like sending alerts, scheduling maintenance and exporting documents. And speaking of documents, how often have you had to chase a contract along a paper trail of emails and hard drives? Construction management keeps all records centralized and accessible so you don’t have to go hunting. Nothing is worse than a project that runs way over budget. Cost control is a key benefit of construction management software. It aims to reduce the frequency of over-budget projects and costs that blindside you. These benefits may sound vague, so let’s get into specific goals for your organization that construction management solutions can help make a reality. Construction management systems take the many disparate processes of managing a construction project and brings them under a single roof. From the maintenance technicians to foremen to managers to CEOs, all levels of an organization can reap benefits from construction management software. These solutions let managers allocate work to the correct team members efficiently, as well as track overall performance to identify pain points. With construction project management, users can bridge the communication gap between departments through internal messaging systems and project updates. Construction management offers modules that keep track of changes, updates and stages of individual projects, encouraging smooth management and reducing opportunities for error. When managers use construction management software, their projects become much more organized. This not only makes everyone’s lives easier, but also makes it safer and easier to recreate for the next project. Users can utilize construction management platforms to assess, estimate and mitigate a variety of risks. From cost estimates to storing recommended procedures for different risk occurrences, construction management offers tools to help with these crucial tasks. This helps managers run a more profitable, more organized and safer project. Construction management software offers a range of financial planning modules to help users estimate, manage and track expenditures. Cost estimate modules allow users to make more accurate estimates for different elements of their projects, reducing the likelihood that the project will have to grind to a halt due to funding shortages. It also tracks predicted and actual budgets, making the next project’s estimates much more accurate. This software provides tax management and auditing modules to ensure your project is always above-board. Material requirements planning modules combine materials purchasing, shipment scheduling and equipment tracking into a single intuitive interface. They monitor inventory, track shipments and alert users when stock runs low. Project managers can utilize the project management feature to delegate and monitor the big picture of their project, as well as the day-to-day tasks of their team members. This feature gives users insights into RFIs, change orders, committed costs and other crucial activities. Break large projects into manageable pieces with work breakdown structures and delegate tasks to the correct workers efficiently. This feature lets managers predict financial risks like contractor delays or quality requirement failures, but it doesn’t stop there. Users can also plan for external risks like environmental disasters, tax changes or public objections, so the emergency plan is always within reach. You can even access inspection tools on mobile devices to make safety checks and track any incidents onsite. Document management features allow users to send, receive, retrieve, scan, index, store and share business-related documents. Upload images, schematics and drawings to the system to allow collaboration and communication based on identical information. Manage contracts, track financial activity and delegate subcontractor tasks directly within the system so everyone is always on the same page. Users can communicate with subcontractors via the internal messaging system or set up automated text alerts to make sure they reach them at crucial moments. Whether you use Quickbooks or Workday Enterprise, you have to have some kind of software to manage your employees. Construction management systems either integrate with HR platforms or offer their own payroll and leave management modules. If your business utilizes CRM, you need construction management that can integrate with it. This lets users directly access contacts, sync meetings and appointments, and monitor all client interactions. If you want as much control as possible over your project, business intelligence capabilities like reporting and analytics are a must-have. Advanced drill-down into the granular data of projects can highlight pain points and give users a comprehensive understanding of project progress. Use this to track objectives and get real-time updates of significant changes. Give your front-line supervisors the tools they need to manage their employees efficiently. Field management features include crew-based field reporting that draws insights on crew performance patterns to help you optimize your whole team. Help them help themselves by creating punch list items in the field to see tasks through to completion. Construction management offers a variety of useful fleet management features with construction management. This software helps keep vehicles in peak condition by scheduling preventive vehicle maintenance, which can be assigned to specific technicians to ensure the work gets done on time. Users can send automated communications via GPS with fleet management features, alerting drivers of schedule changes, hazards and other issues. What are the benefits I’m hoping to gain from implementing construction management software? What problems am I currently facing that I hope to solve with construction management software? How will implementing software change my process for project management? Do I want a cloud-based or on-premise deployment for this software? What technology resources do I have to support your implementation of this product? What other software systems (Payroll, CRM, ERP, etc.) do I need this solution to integrate with? Is my business growing? If so, how scalable do I need this system to be? Once you’ve done that, you may be interested in an in-depth feature comparison like this one our analysts have created. Understanding how different vendors are rated for different features can help identify which ones specialize in your needs. This construction management software comparison should help you create a shortlist of several products that could potentially meet your needs. Reach out to each vendor — they’ll be happy to talk to you, especially since you’ve already done such intensive research! Ask them if they offer trials, demonstrations or other programs for you to take their product for a test run. Demonstrations of the selected software will help screen out solutions that are lacking in key capabilities or are not sufficiently intuitive. A detailed request for information (RFI) or request for proposal (RFP) will help guide the demos and discussions and formulate a gap analysis. The vendor responses will help you develop your business case for funding and essential executive support. If they don’t offer a demo but you still think they might be a good fit, try to find video tutorials or demos online from other customers. It’s absolutely crucial to see for yourself how the program works when someone is actually running it, and relying on previews or sales demos could result in the costly mistake of poorly matched software. Read reviews of each vendor online from a variety of sources to get an idea for how current users like it. Make sure these reviews are up-to-date and from an unbiased, unpaid source. What browsers is your product compatible with? What mobile devices is your product compatible with? How long does a typical implementation of your product take? What support resources do you offer? What ongoing or recurring fees should I expect? How does this system encourage active improvement management? What technology resources will I need to support your implementation of this product? What other types of software and specific software products can this solution integrate with? Is this system easy to use? Is it scalable to the size I need it to be now or in the future? These steps will help prepare you to choose a construction management solution that is perfectly tailored to your unique business needs. Once you’ve gathered requirements, composed a list of questions, compared your list of vendors and requested demos, you’ll have several options to choose from that all meet your needs. Get started on your construction management software selection journey right away to improve every aspect of your project management process. ComputerEase is a construction accounting solution that helps contractors providing different services for a construction project to manage their business operations and routines.ComputerEase offers features such as job costing, construction accounting, project management, material management, equipment tracking and prevailing wage reports and more. The solution's project management application offers users punch list, LEED tracking, document control and equipment and resource management capabilities. ComputerEase also provides contractors various tools such as invoices, payments and retainage that help them to manage their relationship and interactions with subcontractors. Mobile capabilities are provided by the solution that help users to access the solution and manage various activities remotely via mobile devices like tablets, smartphones and more. Additionally, ComputerEase offers customer relationship management (CRM) capabilities and add-ons for inventory management and service management. Services are offered on a monthly subscription basis that includes support via phone and online customer support portal. As a particular kind of innovative ERP software, IFS Applications helps deliver its functionality to businesses with a lot of business process complexity and precision requirements. IFS Applications is popular in industries like manufacturing and aerospace, as well as the oil and gas industry. Jonas Construction Software is a fully integrated construction management software solution built specifically for the construction industry. Jonas Construction Software has been providing industry-leading accounting, construction and service management software for the past 25 years. Our fully-integrated solution provides all of the tools that you need to increase productivity and improve your bottom line. At Jonas, our solution is designed to meet the needs of the construction industry specifically, enabling construction businesses to streamline their operations, enhance efficiencies, and increase growth. Reflex Enterprise Solutions is an on-premise or cloud hosted Enterprise Resource Planning (ERP) software for the construction industry. It is designed for small to mid-sized companies and offers a full suite of applications geared towards land and construction management, manufacturing and distribution verticals. All fully integrated with financial management, fixed asset management, HR/payroll, dashboards, web portals and much more. RedTeam provides a centralized and cloud-based project management and construction financials software platform suited for midsize and large size commercial construction enterprises. It is a cloud-based application developed by contractors to manage pre-construction, construction, as well as project closeout stages. RedTeam allows team members to connect using any device and offers native apps for Android and iOS devices to streamline all field activities. RedTeam's cloud-based project management solution provides scheduling, contracting, estimating, bid management, bid solicitation, job cost accounting, and construction accounting with real-time integration to QuickBooks. It helps generate new business by providing functionality for CRM and lead management.With RedTeam, users can capture project information in a structural way by tracking everyday conversations between team members and enables users to maximize their productivity. RedTeam facilitates performance management, streamlining of business development activities along with upgrades, backups, support, unlimited data storage, and ongoing training through free live and pre-recorded training webinars. Raken is a cloud-based reporting solution designed for the construction industry. It helps to keep track of construction projects and provides users with site updates in real time.Raken allows project managers to maintain daily work logs, schedule and assign jobs to employees, send updates to field agents, generate and share snapshots of a project's progress. The solution also helps businesses keep track of subcontractor hours. Integrations with Procore, Prolog, Egnyte and Box are available.The voice-to-text functionality allows field agents to record observations verbally. The built-in photo gallery can be used to store and categorize site photos and videos. Raken also offers automatic weather capture, alerts and notifications, customizable surveys and third party integrations.Mobile apps for iOS and Android are available. The solution is priced on a per user per month basis, and support is offered online, via email and over the phone. Oracle JD Edwards EnterpriseOne is an integrated suite of ERP applications that helps companies make use of business intelligence and analytics for business value, while leveraging experience and resources for more efficient operations in an affordable way. Microsoft Dynamics SL is a business management solution designed specifically for project-driven organizations operating in North America. It is easy to use and quick to implement, with the capability to support future business growth. It is designed to easily manage the complexities of a project-based business, helping them run more efficiently and giving them an insight which can be used to deliver accurate estimates, on time and within the budget. This ERP software specifically caters to SMEs and its applications are a part of MS Dynamics, a business management software developed by Microsoft. It has five main products such as MS Dynamics AX, MS Dynamics GP, MS Dynamics NAV, MS Dynamics SL and MS Dynamics C5. MS Dynamics AX enables enterprises in doing business across countries by standardizing processes and helping them simplify compliance; MS Dynamics GP enables enterprises to adapt to new opportunities and growth by managing changing markets; MS Dynamics NAV enables enterprises streamline specialized and industry-specific business processes; Microsoft Dynamics SL enables project-driven enterprises to obtain reports and business analysis and MS Dynamics C5 is for SMEs.Major Capabilities of these products are managing the entire supply chain, automating repetitive and routine functions so employees can focus on critical tasks, minimizing the cost and complexity of administering salaries, benefits, recruiting, and performance management and meeting industry-specific needs and demands. Get a truly efficient cloud-based ERP solution from a trusted enterprise vendor with SAP Business ByDesign ERP. Get tools to run an entire business, along with extra functionality for things like financial management, human services, sales and more. Plug SAP Business ByDesign ERP into a greater array of enterprise solutions -- for instance, companies can use this ERP solution along with SAP business all-in-one, and other parts of an SAP business suite, including customer relationship management tools. Sage 300 Construction and Real Estate provide a complete solution to contractors, developers, and property managers to manage the entire project or property lifecycle with confidence, precision, and efficiency. It enhances construction accounting solution with mobile and cloud capabilities. It offers functionality for project management, takeoff, cost estimating, procurement, service management, property management, document management, service operations, and accounting. The solution helps to define the risk management process for subcontractors and vendors, improve communication with suppliers and customers, gain timely insights for better decision making, and control documents. Sage 300 Construction and Real Estate is best suited for all size of companies including small, medium and large size of enterprises. The solution serves the needs of various organizations including corporate owners, real estate developers, real estate managers, commercial and industrial contractors, residential builders, specialty and service contractors, and government. Sage 300 Construction and Real Estate, (formerly Sage Timberline Office), is part of Sage’s line of construction and real estate solutions and can be amalgamated with any of sage's software application from 65 separate software application to create an create an optimum solution tailored to the needs of an organization. Vista by Viewpoint, a cloud-based and an on-premise innovative construction-specific solution caters to the needs of small, medium and large enterprises. The solution provides the tools needed to manage risk, effectively collaborate with the entire project team and improve project profitability and visibility. Vista by Viewpoint is a configurable, contemporary software solution that will help address the issues encountered by the users in the construction industry. It offers a suite of services that serves various needs of the global construction and capital project industries including construction-specific enterprise resource planning, mobile field-to-office, and content management, project and BIM collaboration. The solution offers various features such as job costing, integrated project management, data management, risk management, and enhanced productivity and analysis. Procore is a complete cloud-based construction management software application. It helps businesses drastically increase project efficiency and accountability by streamlining and mobilizing project communications and documentation. Procore's real-time data and accessibility, minimizes the costly risks and delays which helps boost profits. With Procore, users can manage their projects from any web-connected, laptop or desktop, mobile device, or tablet. Procore connects people, applications, and devices through a unique platform to help construction professionals manage risk and build quality projects safely, on time, and within budget. Procore has a diversified business model with products for Construction Financials, Quality Safety, Field Productivity, and Project Management. It provides users a way to collaborate on projects and view documents, such as schedules, RFIs, submittals, contracts, and drawings. Everyone, from general contractors to architects to engineers and construction management firms can edit and share project data from the job site while facility owners can view the progress of each project in their portfolios.Procore operates as a Software-as-a-Service (SaaS), allowing general contractors and project managers to buy the software on a subscription basis. Corecon is a cloud-based construction management software tailored for small to mid-sized engineering and construction firms. The software suite provides complete visibility into every facet of firm's operations. It helps staff keep track of job opportunities and awarded projects while having the ability to integrate with accounting solutions such as QuickBooks and Xero. Being cloud-based makes it accessible anytime anywhere and from any device. There isno software to install and updates are automatic and free operational workflow. Corecon categorized into four segments contact management, lead invitation to bid in Estimating, Project Management, Financials and field staff functions. Built on Ramco VirtualWorks, Ramco ERP on Cloud is one of the most advanced and revolutionary enterprise application assembly and delivery platform, that enables users to get a 360-degree view of their business, anytime, from anywhere by putting all their business functions on to one single platform on the cloud and automating and integrating them, end-to-end. With this unified view of business, they can further drive innovation across the value chain, improve efficiency, and reduce costs and time to market. Also, this entire suite of product is accessible over the internet, which gives them the freedom to access information from any part of the globe at the click of a browser button, whether from a laptop, a PDA, mobile phone or a tablet PC. PASKR is a cloud-based construction management solution suitable for Small Business, Large Enterprises, Medium Business, and Freelancers to manage their construction projects. The solution is built for construction teams that enable users to bid, build, and track projects.With PASKR users can access project-related information through web-connected mobile devices such as tablets, as well as laptops and desktops. It provides various features like Incident Reporting, CRM, Contractors, and Subcontractor Management, budget tracking/job costing, Change Order Management, Contract Management and many more. PASKR helps to streamline back office and field operations and brings efficiency, visibility, and accountability. NAVBUILD has been built on top of Microsoft Dynamics NAV, thereby offering users an end -to-end solution for project-specific needs. This is an integrated development platform which has been designed to extend the capabilities of the project module and is responsive to customization and fine-tuning of features for meeting specific requirements, making it powerful, comprehensive, and a focused package. NAVBUILD caters to different industries such as Construction, EPC, Infrastructure, Project Engineering Service Organization, Interior Designing, and Energy. NAVBUILD comes with the agility to cater to project-specific requirements as a one-stop solution that can manage all aspects of a project right from the proposal stage down to successful completion. It offers a bunch of features and functionality that can also be tuned to suit a particular industry area where it is deployed. Due to the visibility, flexibility, and its project estimation capability, NAVBUILD helps businesses with precise pre-scheduling projections and is therefore considered as a reliable decision-making aid to key stake-holders and project directors. Buildertrend is a construction management software for special contractors, general contractors, home builders, and remodelers. It offers project management, financial management, project scheduling, customer management, and service management in a single solution. Being a SaaS based product it can be accessed online from computer or mobile device.Buildertrend provides a wide range of tools for pre-sales, project management and customer management that includes bid management, built-in customer relationship management (CRM), estimates and proposals, budgeting, time sheets, scheduling, document management, change order and selection management, warranty requests and payment processing.Besides, it also integrates with other third party applications, such as QuickBooks, Xero and various dedicated estimating and takeoff tools.Buildertrend provides a number of features like customized branding, daily webinars, support chat, the Buildertrend Learning Community, a 24/7 help section and Buildertrend University. In addition, it also provides each company with an account manager to provide training and support. CoConstruct is a web-based project management, client management, financial management software for custom home builders, remodelers and design-build firms that optimizes the day-to-day operations. It offers three well-formulated functionality modules to help builders and remodelers face common challenges related to their projects, budgeting, client communication, scheduling, or activity planning.CoConstruct offers three major modules namely 'Communicate' module for ease of crew, clients, documents, change order, selection, etc; 'Coordinate' module to manage timesheets, scheduling, punch list, job log, and more and 'Control' module to have a better grip on budgeting and forecasting, estimates, bidding, proposals, and other.Besides, CoConstruct provides a custom branding to match the builder's website, dedicated implementation coach, phone and online support, unlimited training, and options to attend an in-person 2-days training session with other CoConstruct users. Plangrid is a complete and user-friendly software platform to serve the construction industry. The solution caters the needs of general contractors, design teams, specialty contractors, and owners. It supports various global languages including English, Chinese, German, Japanese, Spanish, French, Italian, Portuguese and Polish and Swedish. It requires minimum training and best suited for small business, large enterprises, and medium business. It provides open API and can be hosted on the cloud. It allows users an access to drawings, documents, blueprints, markups to share, edit and update it in real time from anywhere. It facilitates with complete RFI lifecycle where users can file the RFI's from the field and link it to all relevant project documents. At project completion, users can generate a complete, hyperlinked as-built and share with owners. Users can avail the benefits of issue tracking feature to track work assignments, collect and complete punch lists and track defects. Plangrid's Field reports tool offers a way to complete job site reports such as daily reports, checklists and inspection forms using default or custom form templates. The solution offers a mobile app available on iOS, Android, Windows devices. BIM 360 is a construction management software to connect, organize and optimize projects. It allows all teams and data to be connected across the project lifecycle. Its unified platform connects project, team, and data in real-time from design through construction to support informed decision-making and leading to more predictable and profitable outcomes. It provides automated processing of industry standards file types to enable seamless access and coordination across distributed teams. With BIM360 design teams can collaborate, models, control work-sharing environments, manage permissions and work in progress development priority publishing. It allows teams to easily understand the changes as the project progresses through change visualization in an aggregated viewing environment. It offers a variety of product modules which can be collectively used for complete construction management. These modules are consist of BIM 360 Docs, BIM 360 Design, BIM 360 Build, BIM 360 Glue, BIM 360 Layout, BIM 360 Plan and BIM 360 Ops. eSUB is a cloud-based project management solution and mobile application created by subcontractors for subcontractors. It provides complete field and jobsite centric solutions. It allows team members to access construction documents, drawings, submittals, RFIs from any locations on any device. It provides all in one platform to field crew to manage daily project delivery activities and collaborated reports to the back office. Being a cloud-hosted solution it minimizes the costs, helps to keep data secure and provides 99.999 uptime reliability. It is best suited for small, medium and large size companies and caters the needs of Electrical Contractor, Mechanical Contractor, Specialty Contractor, Drywall Contractor, HVAC, and Plumbing Contractors. Every eSUB implementation begins with the eSUB CORE module which includes a variety of tools to helps subcontractors on every construction project, these tools include field notes, daily reports, RFIs, email integration, project files, contacts, audit logs, calendar, corporate management and more. e-Builder enterprise is a cloud-based construction program management solution for capital projects that keeps teams connected so owners can build quicker and stay updated throughout the project lifecycle. e-Builder is modular and configurable which makes it faster to deploy. e-Builder provides native mobile app "e-Builder Mobile" allows project information accessible anytime, anywhere from any device to increase productivity. e-Builder's workflow tool standardize processes result in better collaboration and lower the risks. Its Reporting features and Dashboards offer one version of the truth with total visibility provides performance data across the project lifecycle. It facilitates with a big-picture overview of costs and schedules and audit capabilities to have complete control over financials. It allows integrations with other ERP solutions, GIS(Geographic Information System) and other Inhouse systems. It offers various tools and features to enhance the capabilities of construction projects including Program Performance Management, Business Process Management, Flexible Interface, Planning, and Design tool, Procurement Lifecycle tools and more. It is best suited for larger enterprises as it offers construction solutions for industries like healthcare, government, higher education, K-12, commercial etc. Projectmates is a cloud-based construction management software offers a user-friendly interface and navigations which makes it unambiguous. It functions in any modern web browser without exceptions and users need not download a separate app on already cluttered mobile or tablet. It works seamlessly on desktop, phone, and tablet as it provides the modern responsive design. It is best suited for medium and large-scale enterprises and caters the construction needs of various industries including Retail, Healthcare, Higher Education, K-12, Government, Commercial, Real Estate Developers and CM Firms etc. It offers various features that include Document, Workflow, Bid, and Contract Management, Project Scheduling, Reporting and Dashboards, Backup and Archive etc. Also, it provides integrations with a variety of applications like Microsoft Dynamics, PeopleSoft, Oracle, Lawson and many more. Oracle Aconex is a cloud-based operation management solution that helps manage processes and information between companies on various complex engineering and construction projects. It offers a suite of solutions including Project, Document and Workflow Management, RFIs, Mails, and Forms Solution, BIM Management, Quality and Safety Management, Bids and Tenders Management, Insights and Reporting, Handover to O M. Aconex is best suited for Developer, General Contractor, EPC (Engineering, Procurement, and Construction), and Joint Venture organizations. Its project-wide approach helps a variety of industries including Construction, Infrastructure, Energy, and Resources. Aconex has successfully served 16,000 projects, $1 trillion in value over 70 countries. Aconex's global team of experts across 40 locations provides unparalleled support to all their users on projects and can respond in languages ranging from Chinese and English to German, Japanese, French, Spanish and more. ClickHome includes full series of residential construction building processes. It helps save time and money for building businesses by allowing building more with fewer resources. It facilitates builders to manage the whole process from initial client engagement to post-handover maintenance. ClickHome handles all the processes during building homes including interactions with different individuals from potential clients, contractors, vendors to internal staff and supervisors on site. It helps construction businesses improve so they can keep up with the quality homes designed by the teams. It supports building and maintaining sales capture and also uses clients' feedback. ClickHome, with its variety of features manages teams, suppliers, vendors and increases office and on-site efficiency.  Its automated call scheduling tool automatically calls suppliers to manage trade processes and monitors client movings. ClickHome provides field solution compatible with iPads and offers an easy-to-use application whilst out on site. CMiC is a complete integrated construction solution to help manage complex projects and ensure on-time, on-budget delivery. It offers the leading enterprise resource planning solution through a suite of applications that ensures complete control of construction projects. It helps to monitor general ledger and cash flow position in real-time, eliminate change order pain in ex-projects, easily stores documents and data to view it in real time whenever needed even with the mobile application, It supports natural project workflow from start to end. It's a unified data model that connects all elements of the software to the same up-to-the-minute data ensuring every report is real-time, every transaction can be traced back to its origin and every user can access the data which is most relevant to them from anywhere in the world. CMiC is built on a single unified database that is powerful and flexible enough to meet businesses needs. The solution is best suited for small, medium and enterprise level firms. It supports all major construction specific features including Bid management, Change order management, document storage, Procurement management and many more. Contractor's Cloud provides a cloud-based platform to manage sales and leads for contractors. It provides various key features including estimating, lead management, material order scheduling, work order scheduling, commission tracking, profit and loss calculations, invoicing, expense tracking, customer portal and more. The system offers production tools helping users manage the hectic work that comes with construction so the contractors can stay organized and can virtually reduce unnecessary communication with the office team. It also facilitates different workflows and processes that can be customized according to diverse business requirements and offers a dedicated client portal allowing users to see job progress, facilitate communication between clients and the company, and thereby track status of every job in real-time. The project team information, current calendar, and invoices are available at a single place for inspection and audit. The solution provides access to the knowledge base where users can reach out to the technical team to find solutions for their queries, it also provides personalized hand-holding with screen-sharing capabilities. eCMS is a complete suite of software applications that helps commercial builders manage all phases of finance and operations. The system offers various modules to address different components of business processes. These modules include cost accounting, payroll, reporting, project-wide communication, content management, etc. eCMS manages projects from inception to conclusion by providing cloud construction ERP and provides integrated financial and project data on demand for smarter construction. eCMS' v.4.1 Business Intelligence Analytics module allows users to monitor performance on a specific task or project, including resource allocation, equipment utilization, job costs, change orders, and other important financial and operational variables. The solution caters to the needs of a variety of industries including Heavy highway/ Civil contractors, Industrial, Petroleum and Oil Contractors, Electrical Contractors, Mechanical, and Speciality Contractors. Epicor ERP is an integrated enterprise resource planning that is delivered either on-premise, hosted, or as a cloud-based Software as a Service (SaaS) offering. It caters to the needs of various industries such as Aerospace and Defence, Automotive, Construction and Engineering, Electronics and High Tech, Energy, Fabricated Metals, Furniture and Fixtures, Rubber and Plastics, Industrial Machinery and Medical Devices. It is suitable for small, midsize and large enterprises. It offers a variety of solutions including CRM, Enterprise Performance Management, Financial Management, Planning and Scheduling, Project Management, Service Oriented Architecture, Supply Chain Management, and many more. Epicor ERP helps promote fact-based, stronger decisions with robust built-in analytics to help achieve the highest profitability. Its variety of solutions help manage every aspect of the business. ePROMIS Enterprise Edition ERP is developed considering larger organizations and is an advanced customizable ERP solution that allows users to synchronize all phases of business, share data, drive performance, cut costs, and helps maximize profitability. The solution caters to the various needs of different industries including Construction Engineering, Contracting and Subcontracting, Mechanical, Electrical and Plumbing, Real Estate, Government and Public Sector, Facilities Management, Equipment Rental Services,etc. Further, the system supports a variety of business functionalities, including finance, human resources, supply chain, projects, analytics, assets, customer relations, and planning. This complete enterprise solution can be customized according to the nature and organizational structure of the company, resulting in an exclusive enterprise solution integrating best methods and organization’s best practices. ePromise helps convert massive data into insights, keeping workforce productivity and gets things done instantly with its Business Intelligence tool. Farvision offers integrated cloud-based ERP solution that caters to the needs of a variety of industries such as Real Estate, Infrastructure, Property Management, Facility Management, Manufacturing, and HRMS. It is best suited for startups, SMEs, agencies, and enterprises. The solution helps organizations integrate all data and processes in a single comprehensive manner and streamline all financial, operational, as well as managerial facets of the business. Farvision ERP offers different modules such as 'Real Estate' for builders, 'Infrastructure' for contractors, 'Property Manager' for commercial and residential property management, 'Facility Management' for office and home associations, 'Manufacturing' for RMC batching plant and 'HRMS' for HR and Payroll management. It also provides integrated services such as Communication, Facility Management, Billing and Accounting, Payment Gateway, Community Walls, Personalized Portals, Security, and more. Farvision ERP's Data Management feature allows users to store and access important documents such as common society documents, Member/Tenant/Parking/Nominee Registers, MOM/AGM Reports, etc. Focus 8 is cloud-based ERP software, provided by Focus Softnet. It has over 30,000 clients and more than 1 million users around the globe. It is a tax compliant cloud ERP software and is equipped with a powerful Business Intelligence tool that exercises ‘slice and dice’ methodology for determining KPIs, presents timely reports with accurate data and interpreting data. The reports provide actionable data to the users, minimizing the presumptions and allowing them to monitor essential metrics with ease. Being a cloud-enabled solution it provides maximum mobility. It blends all the features and SOPs of well-defined workflows, escalations, and authorizations and reporting in a way that their execution is not just reflected on the screen but also adhered to in operations. With its modular structure, organizations can devise their own ERP roll-out strategy and design workflows to represent and evolve their company’s SOPs. iSqFt allows all types and sizes of contractors to streamline their whole pre-construction process and bid efficiently. It is composed to address the different challenges of construction managers, general contractors, and design-build firms. The iSqFt offers a customizable, web-based system that connects every aspect of a contractor's bid process into a single application. It provides various solutions including Subcontractor, General Contractor, Manufacturer, Suppliers and Distributors, Architects and Engineers, and Project Owners. The 'Subcontractor' module helps find more projects and create new GC relationships and 'General Contractor' module assists with digital take off, 3D model and project management. The iSqFt seamlessly helps organizations respond to more individual bid opportunities as well as reach a larger base of general contractors. It also helps them to enhance the business by presenting a database of construction leads, including public and private projects that connect every type of work imaginable, from highways to retail centers, and everything in between. JOBPOWER provides contractors with complete construction accounting and document management software, focusing on job cost management. JOBPOWER offers construction businesses and contractors specific features and tools including certified payroll, AIA billing, budget vs actual reporting, and much more. It gives great flexibility as it can be deployed over the cloud platform for any time, anywhere access. JOBPOWER seamlessly integrates with various solutions to provide uninterrupted workflows in Estimating, Scheduling, Scale Management, Inspections, and more. Being, a cloud-hosted solution, it helps improve all the business bottom lines, as the job, and financial data is always available for expert decisions, providing easy access to various documents such as subcontracts, invoices, lien waivers, change orders, emails, and other files or documents saved by the job, vendor or customer. Jonas construction software provides fully integrated service and construction management software solutions. It offers two different products as per different industry needs 'Jonas Enterprise' and 'Jonas Premier'. Jonas Construction caters to the needs of mechanical contractors, general contractors, HVAC contractors, electrical contractors, plumbing contractors, design-builders, home builders, real estate and land developers.It offers several modules that covers different business operations such as project management, accounting, purchase orders, mobile field apps, time expense, and inventory management. Jonas construction software is also equipped with GPS routing capabilities to help assign tasks to the nearest technician. See the Price/User for the top Construction Management Software… plus the most important considerations and questions to ask when shopping for Construction Management Software.